Novice2Ninja will show you the skills to progress from Novice-to-Ninja on Business Facebook and share with you everything you need to know to make your Facebook Business Page successful and influential. The Internet is entrenched in the daily lives of so many of us these days it’s hard to believe it was only made public in 1992. The Internet hasn’t even had its 21st birthday and businesses are already faced with a new onslaught of Internet hysteria, “Social Media”. With the explosion of MySpace® YouTube®, Twitter® and Facebook® in the last seven years alone, it’s no wonder we’ve all been scratching our heads wondering how this new phenomena is going to fit into today’s society. You have probably also heard that Facebook is the biggest of all Social Media sites otherwise you wouldn’t be reading this book. Let me confirm your suspicion. Fact: Facebook has singlehandedly changed the face of business forever. Your business may already be on Facebook or perhaps you are just at the very beginning of exploring Social Media. Either way, you’re thinking, we’ve just had a global economic crisis and a stock market crash in recent history, how is Facebook going to save the world? It’s not. Want to know why your business still needs Facebook? You’ve come to the right place. 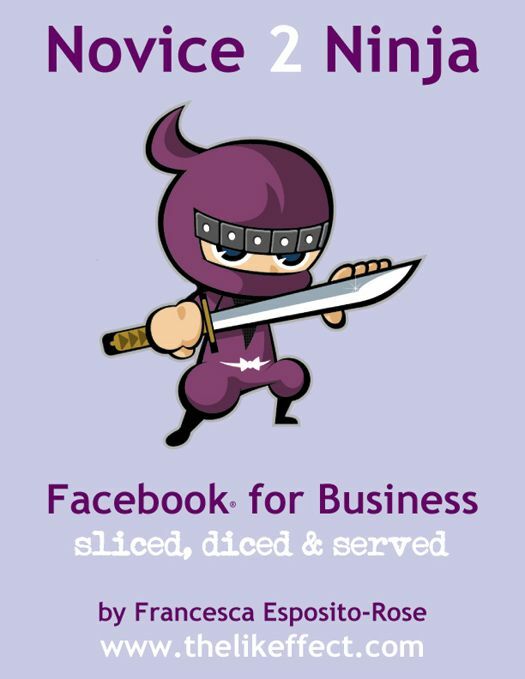 eBook "Novice2Ninja Facebook For Business"
eBook "Facebook Business Success in 10 Minutes a Day"